Time to learn some architecture vocab, kids! A pilaster is a make-believe column, a vertical element that looks like its load-bearing cousin but doesn't actually bear any weight. 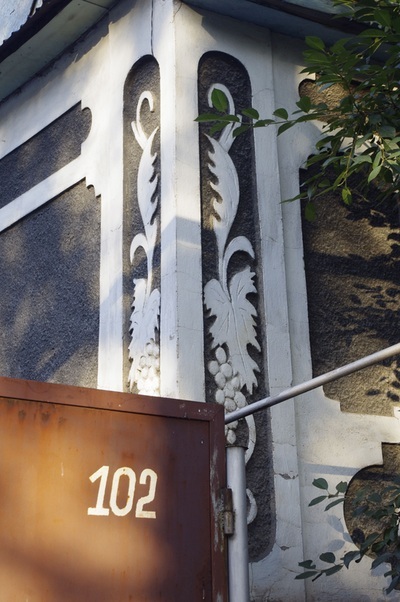 They're used often in classical-style Soviet architecture and in Russian-style cottages to give a facade some presence and character. 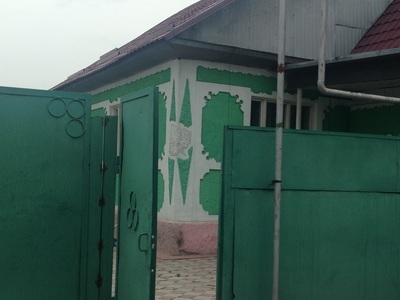 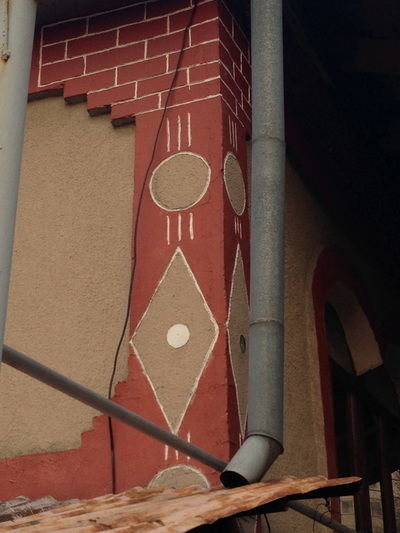 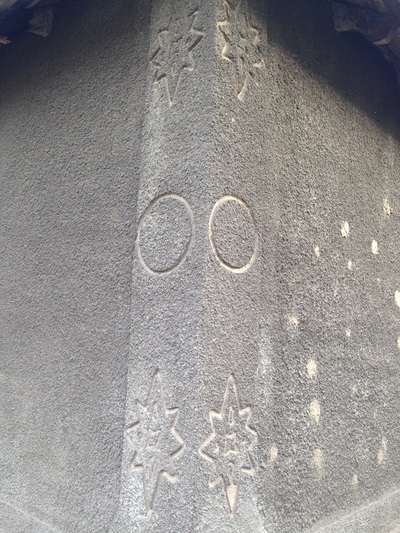 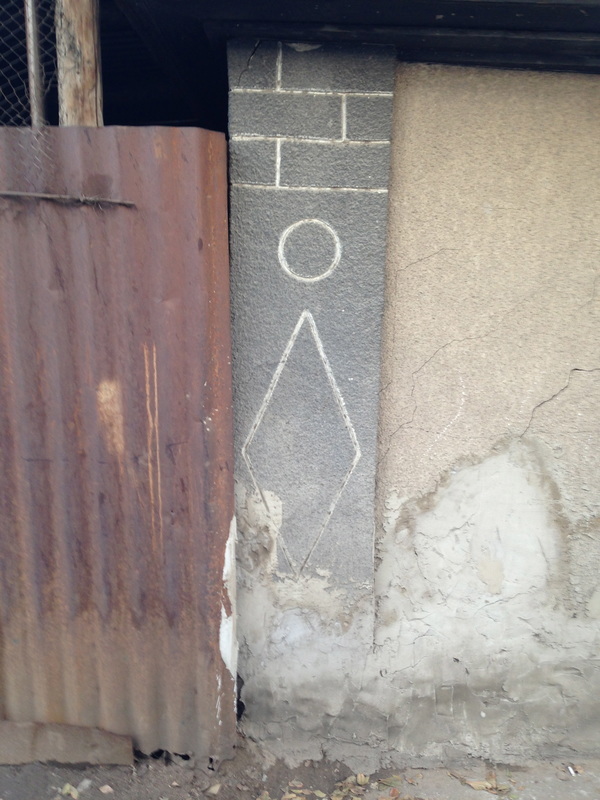 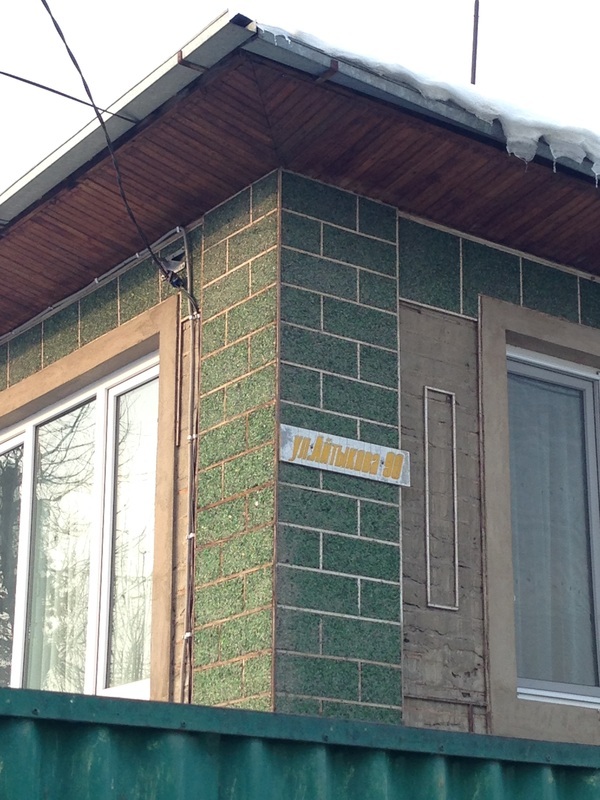 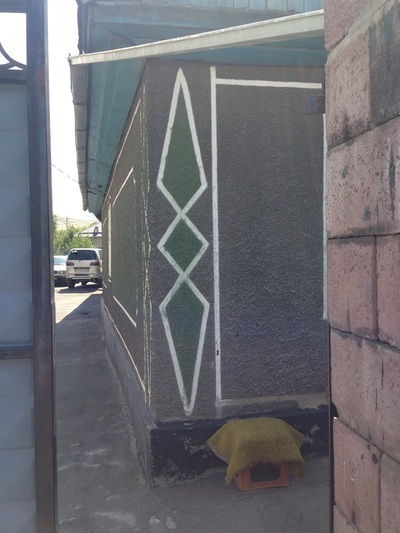 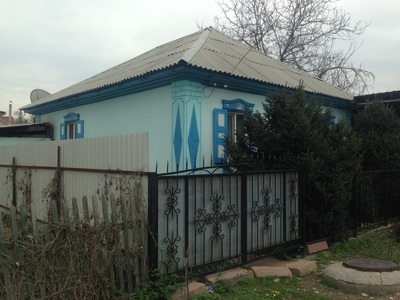 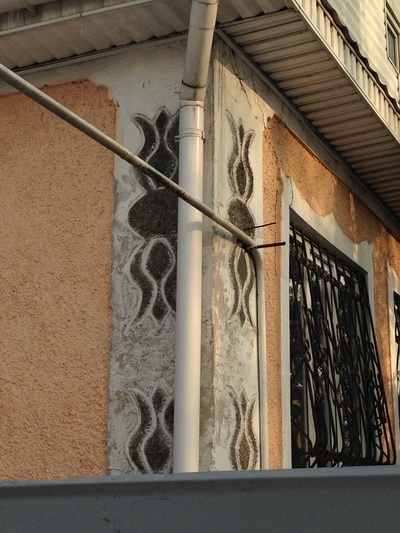 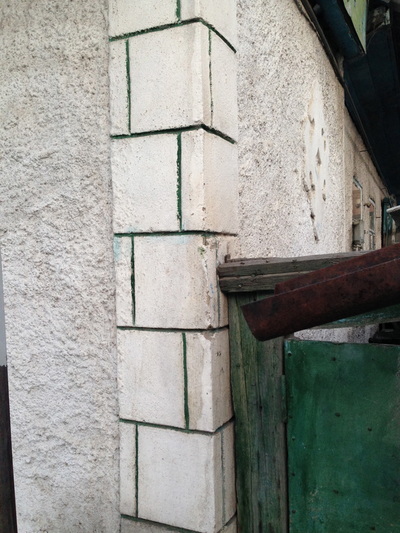 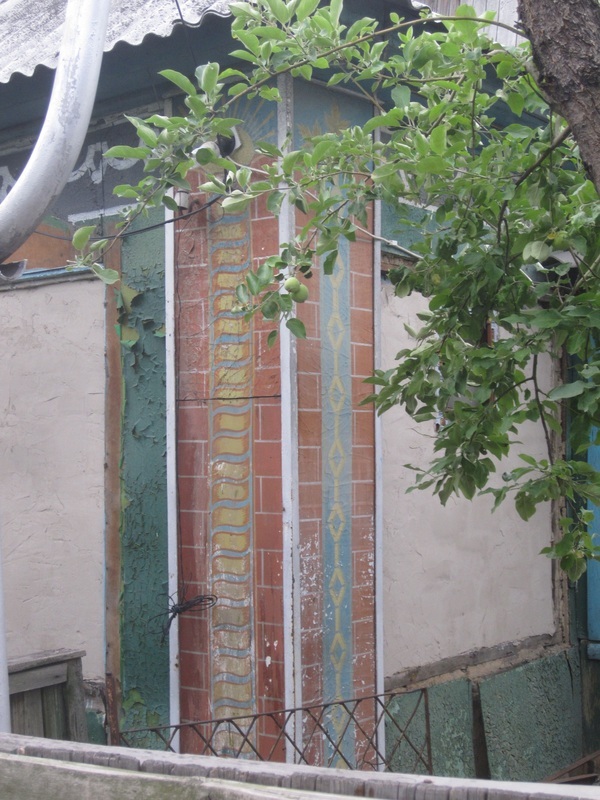 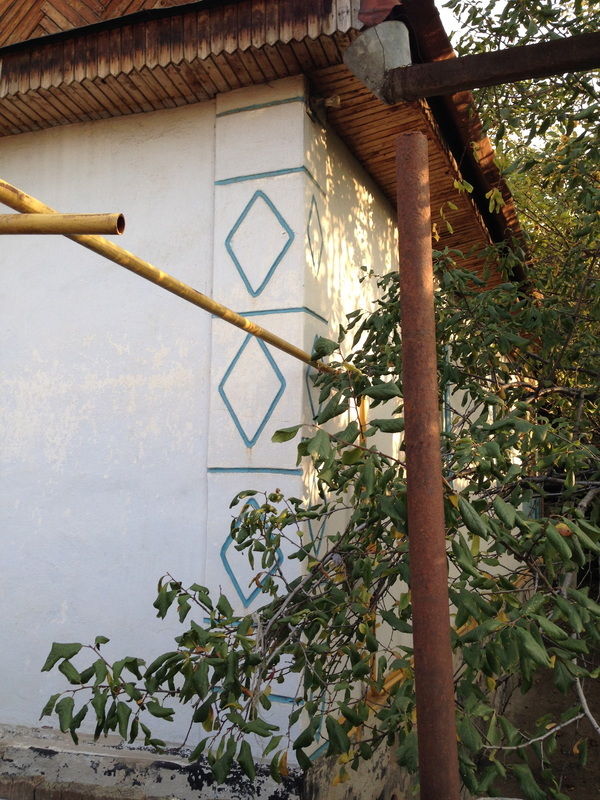 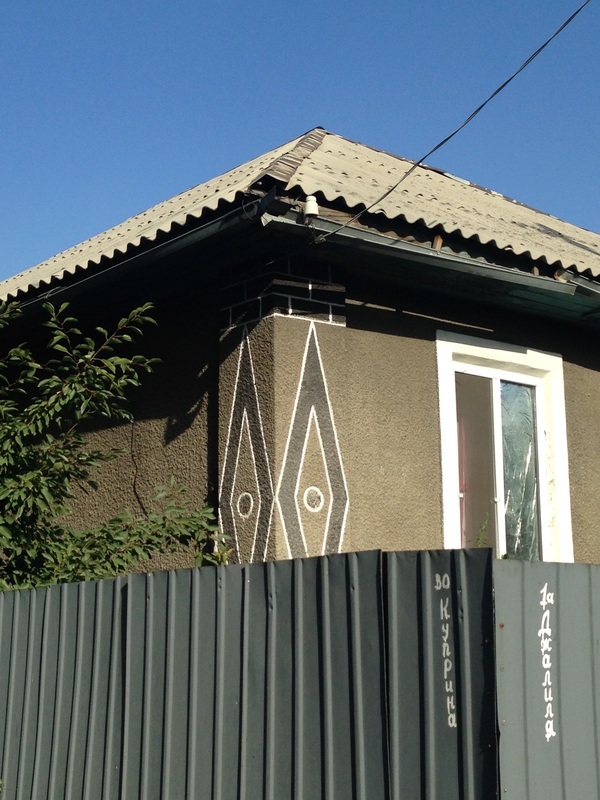 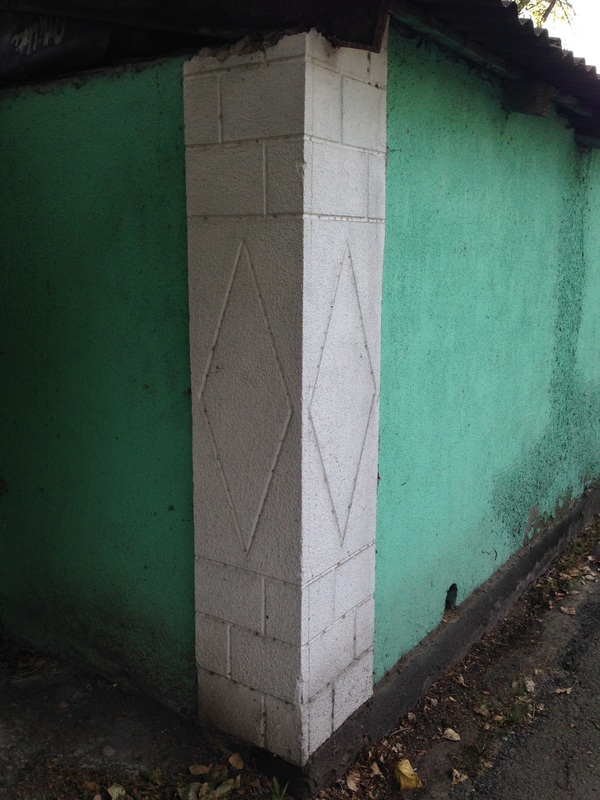 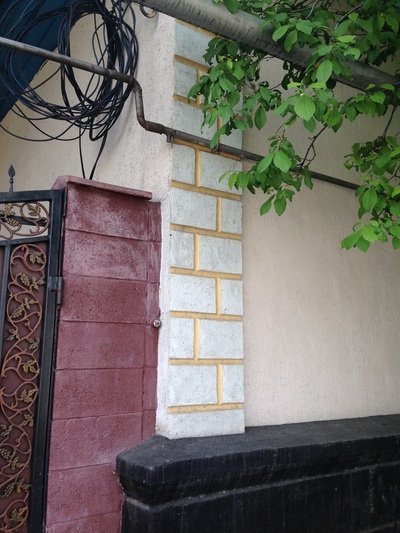 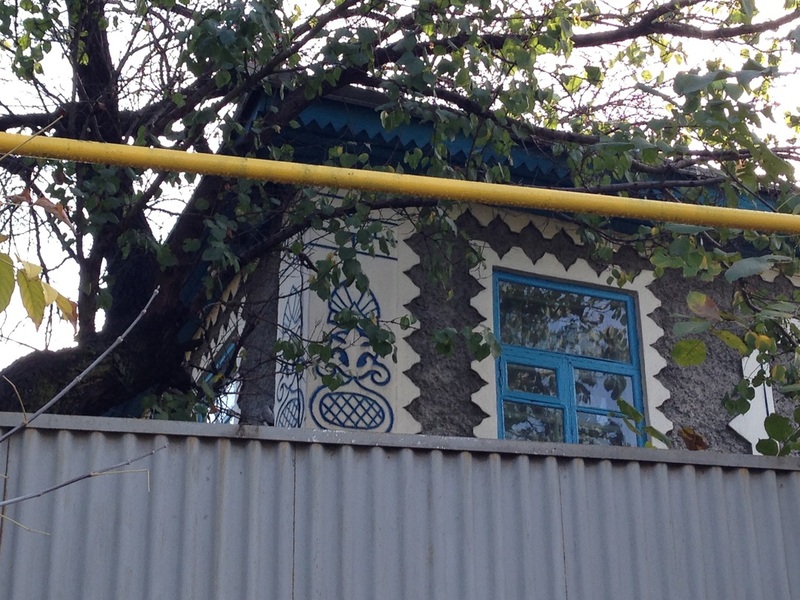 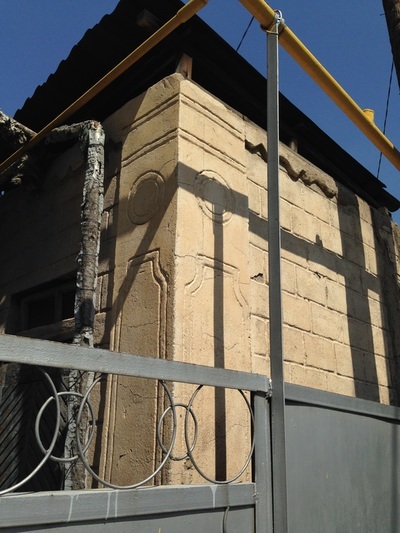 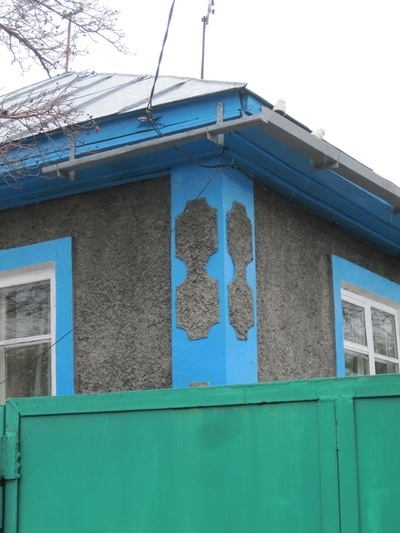 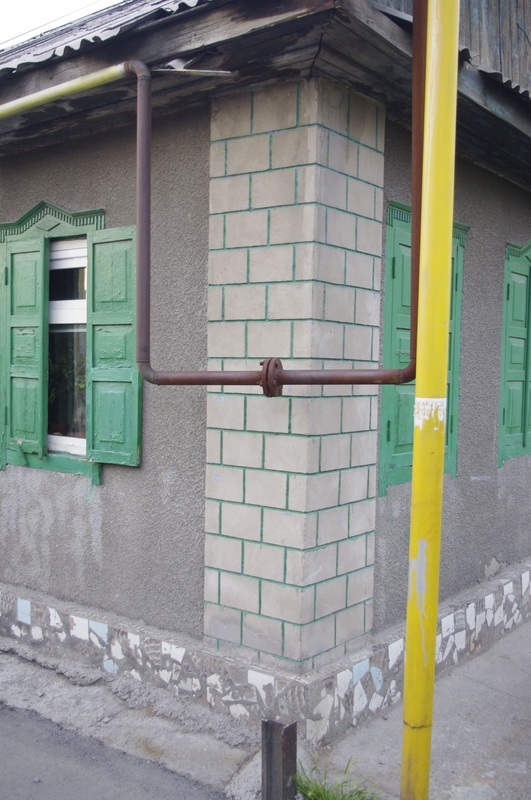 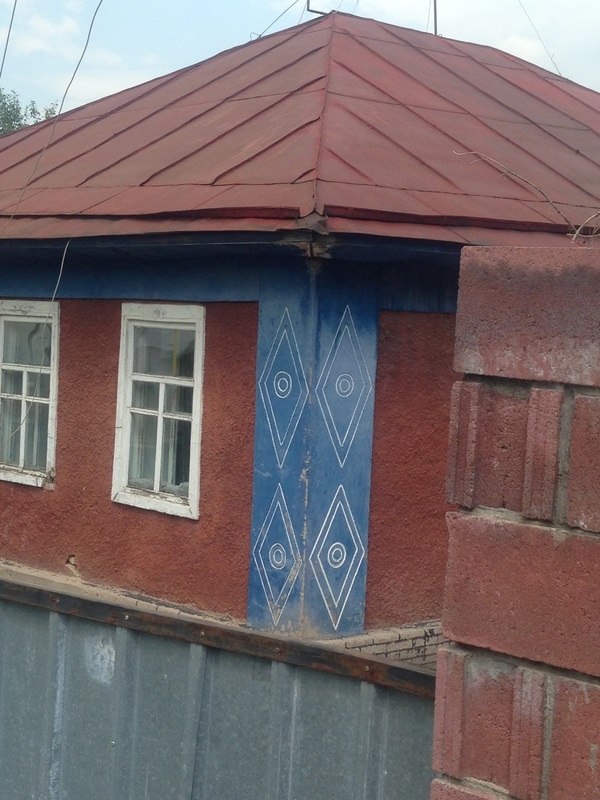 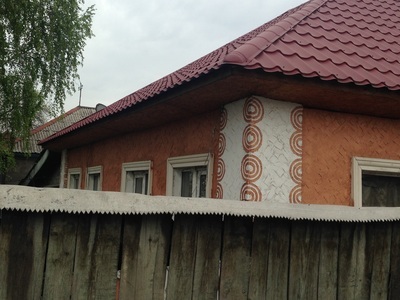 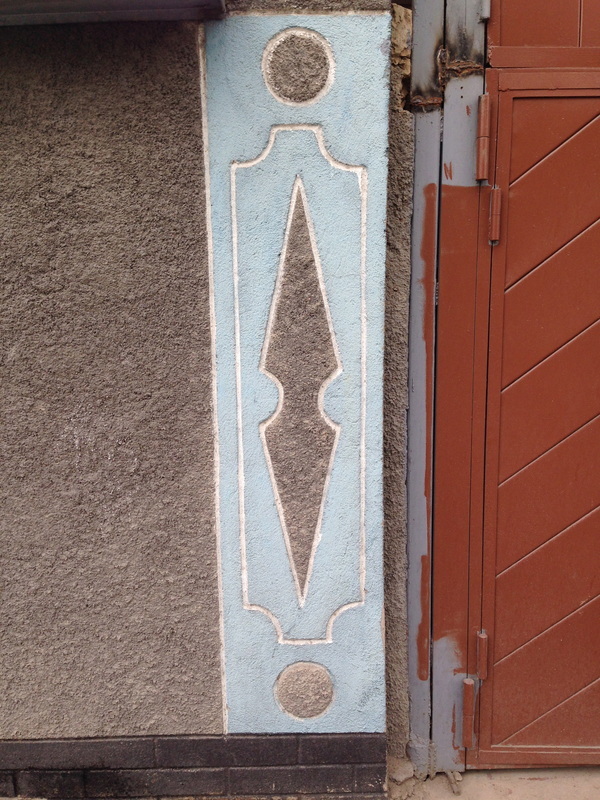 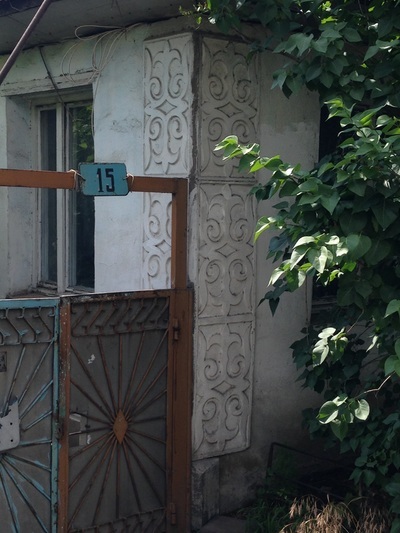 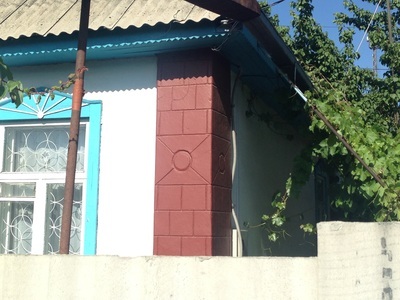 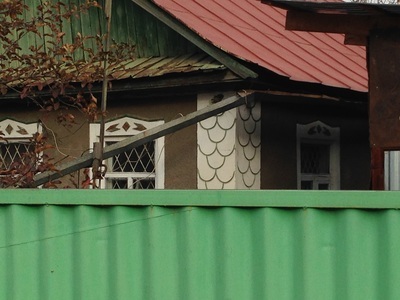 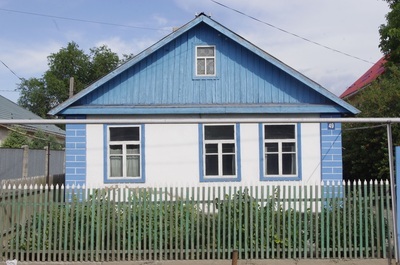 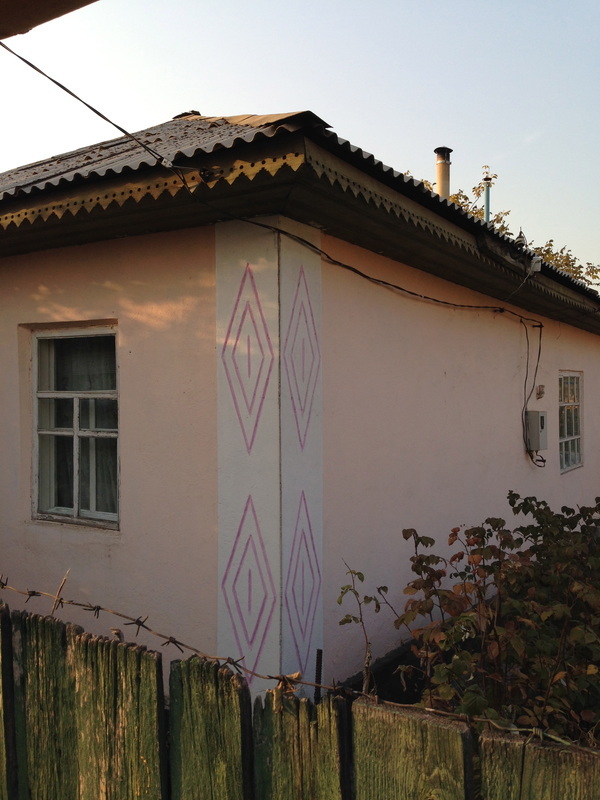 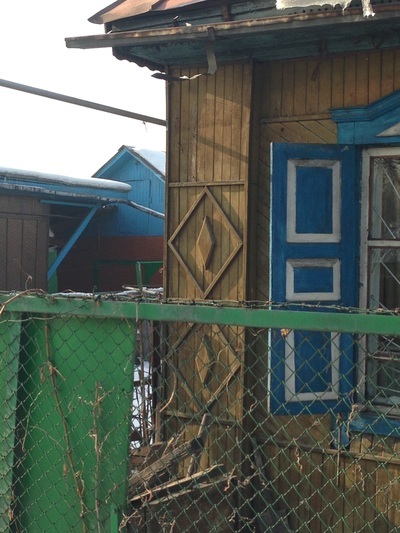 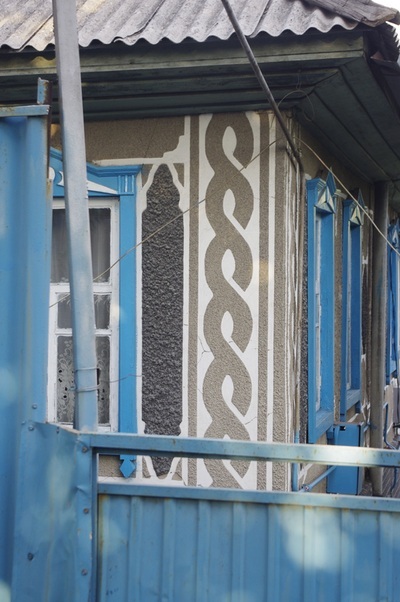 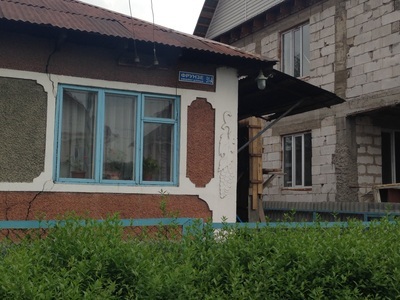 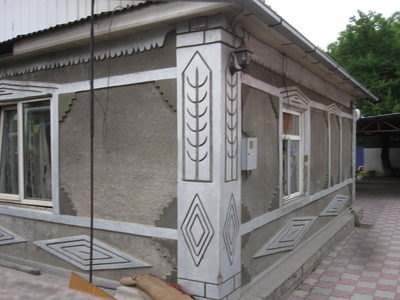 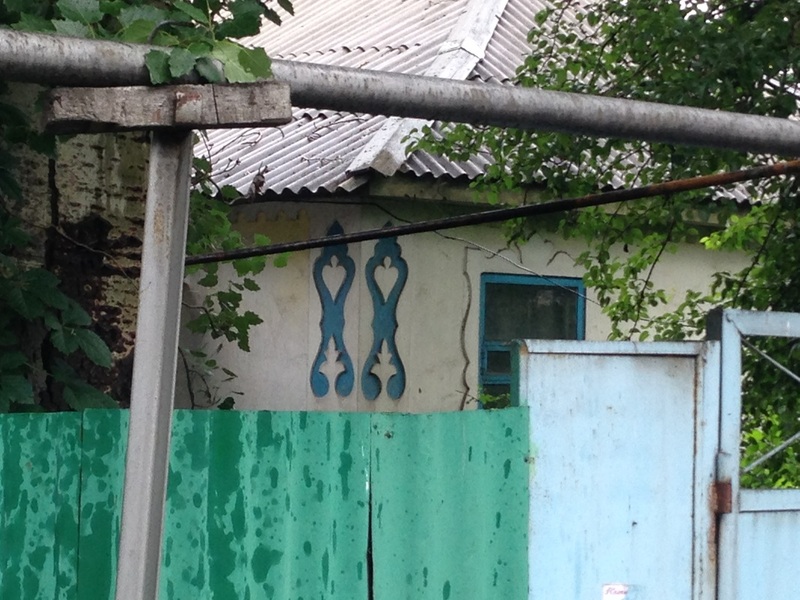 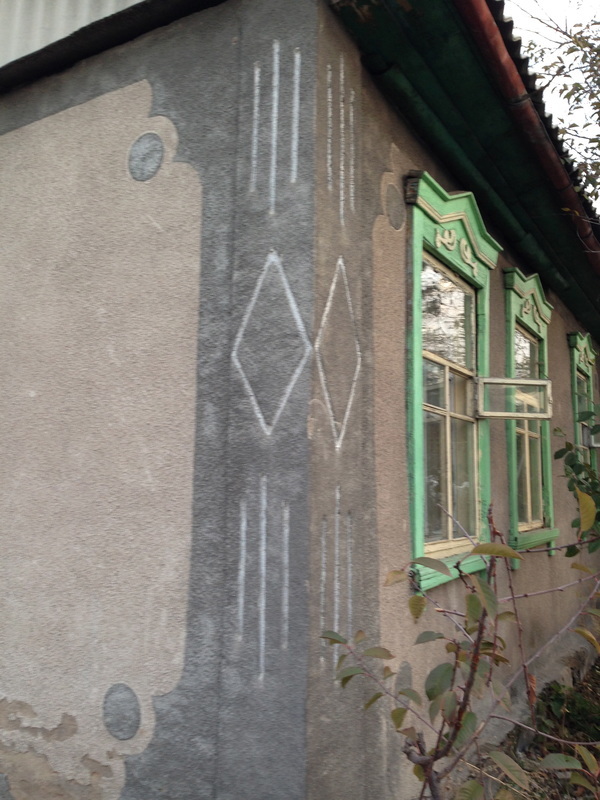 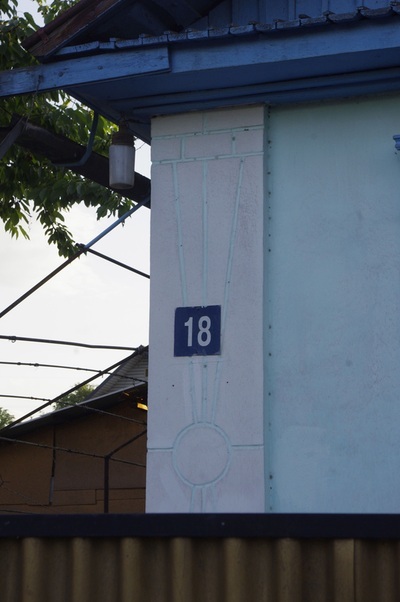 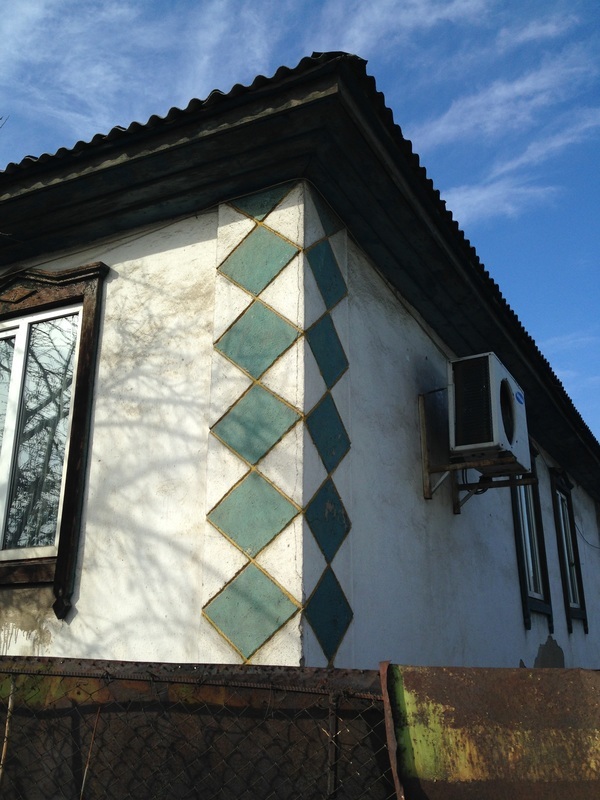 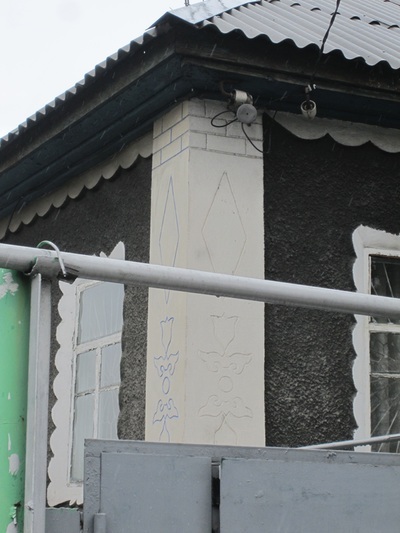 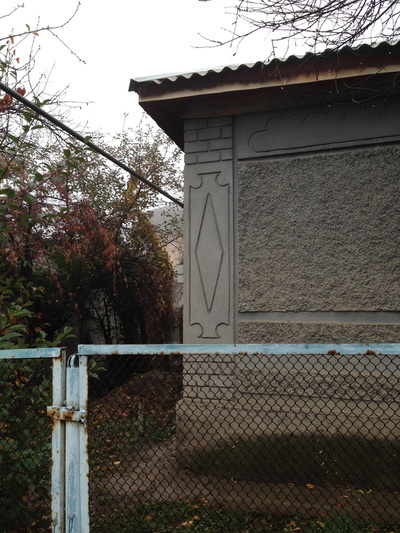 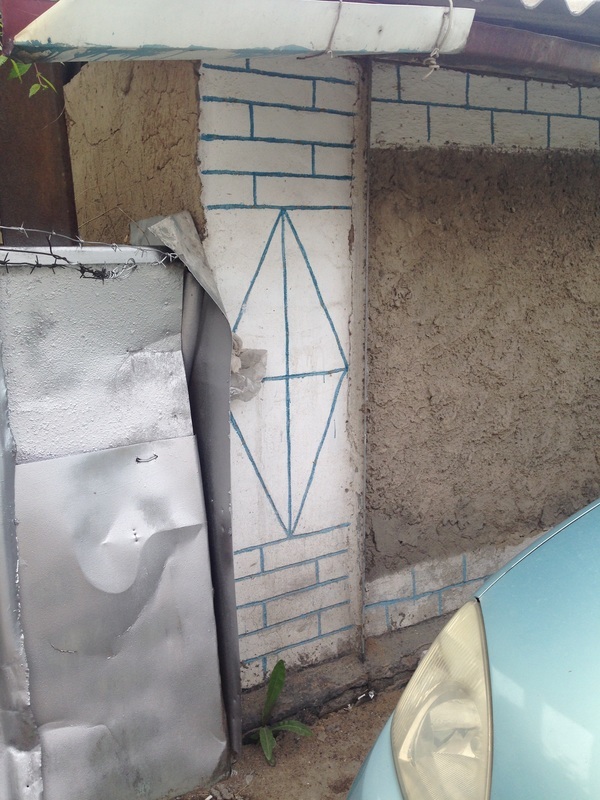 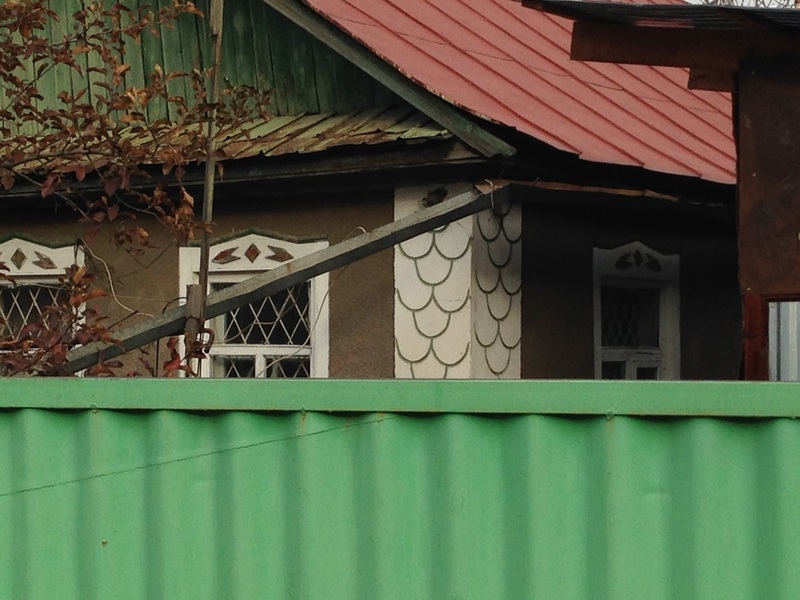 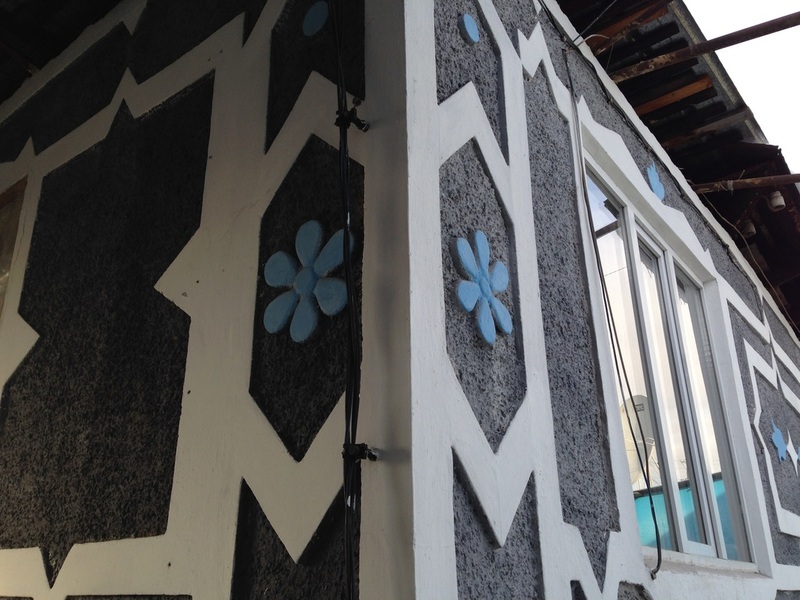 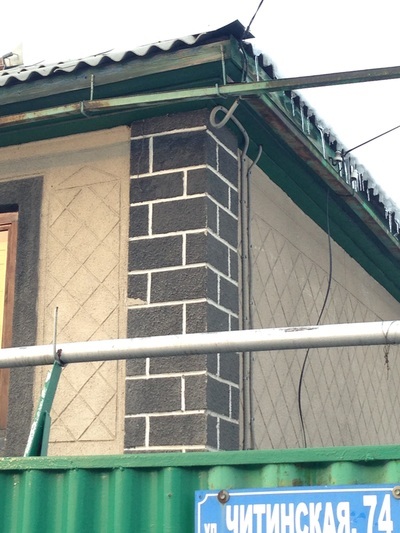 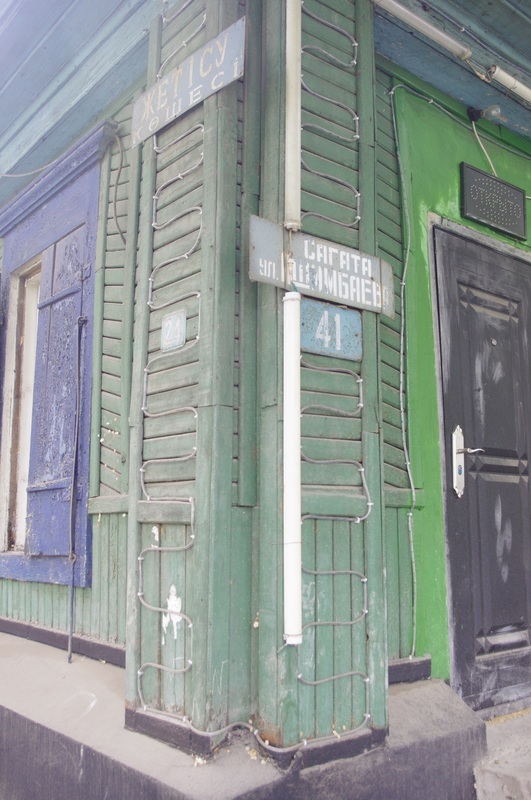 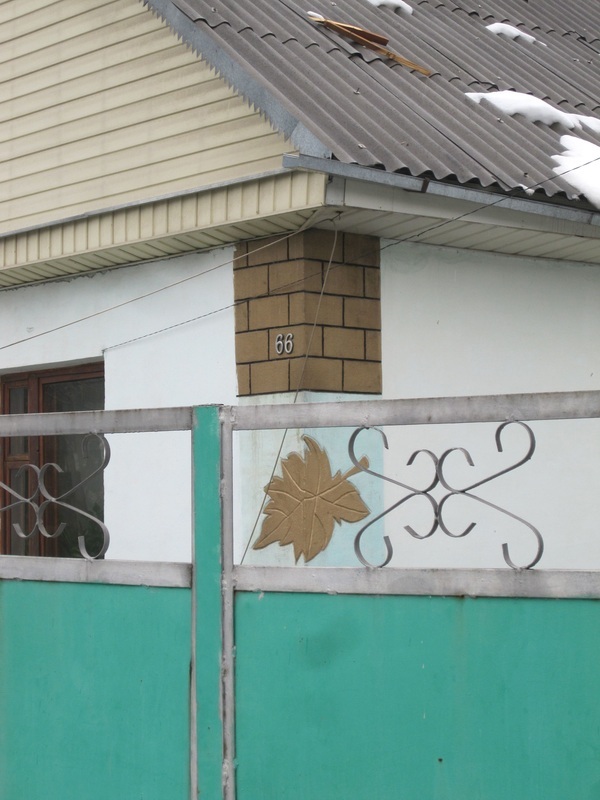 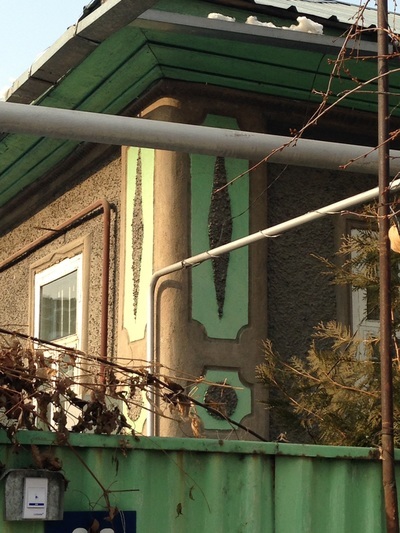 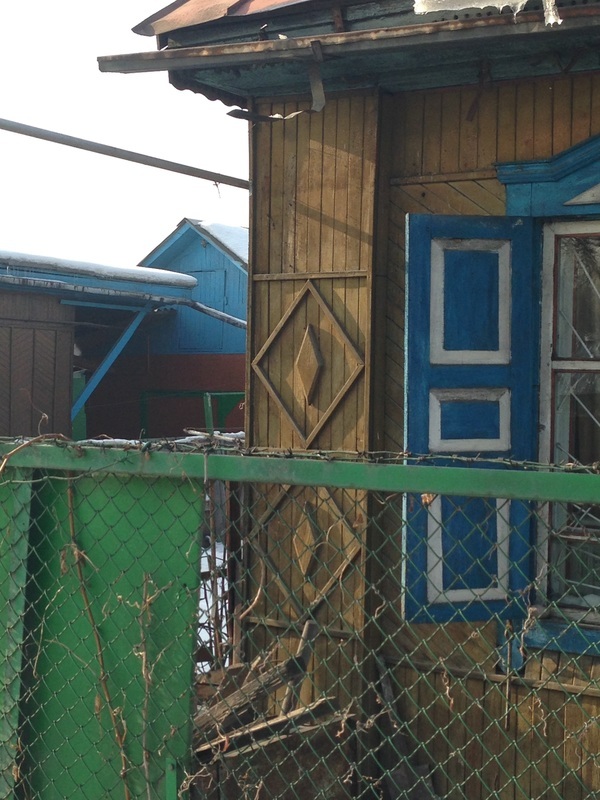 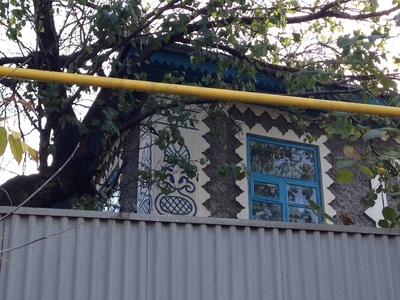 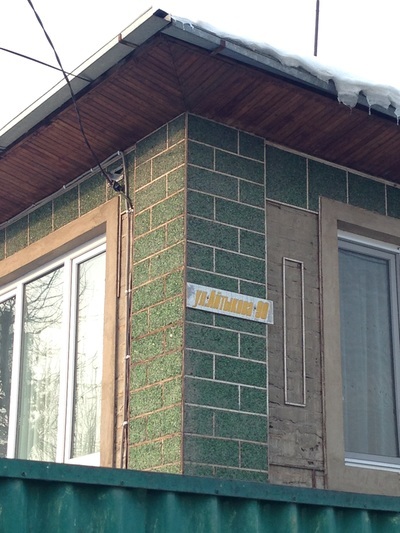 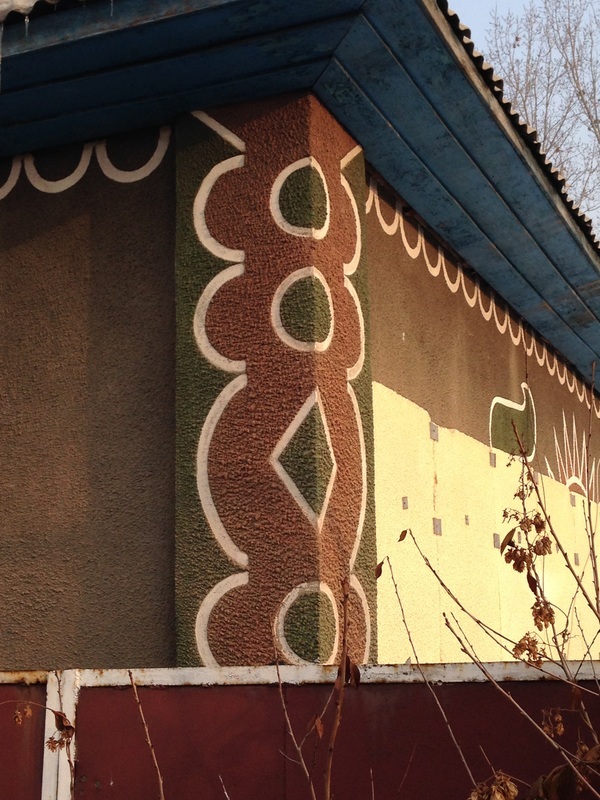 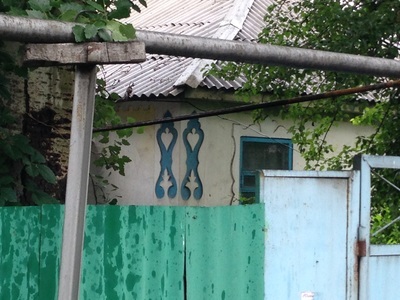 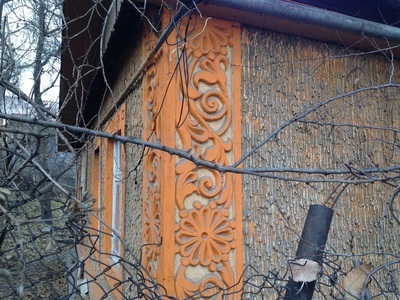 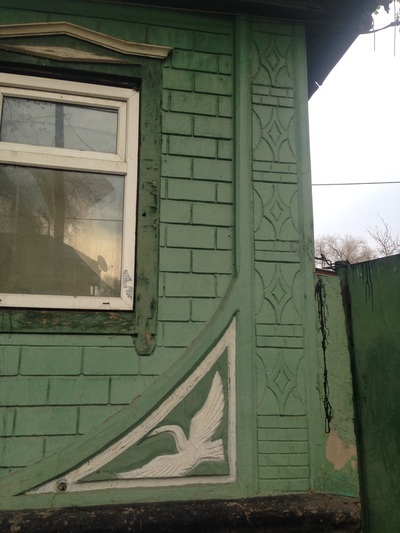 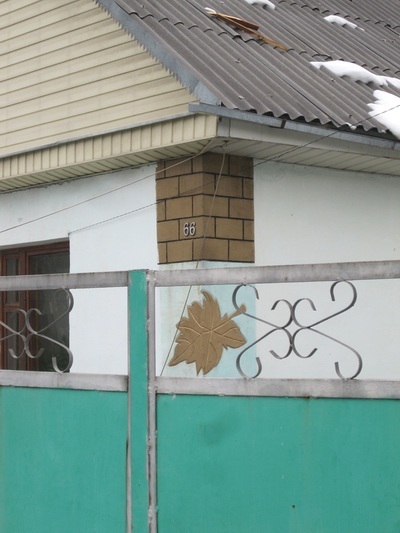 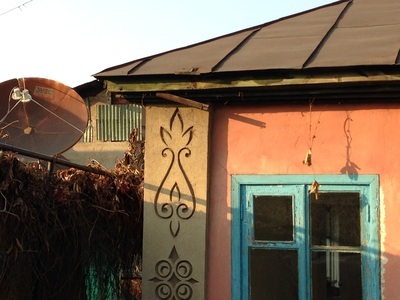 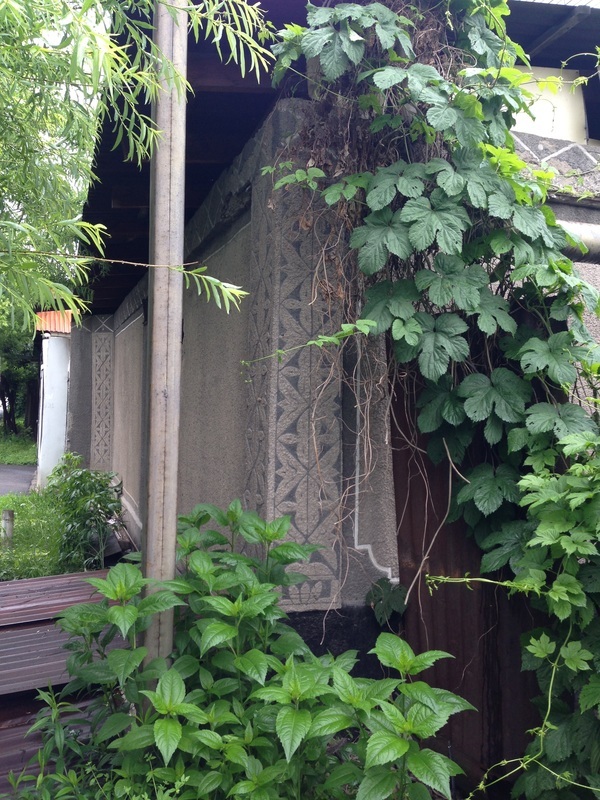 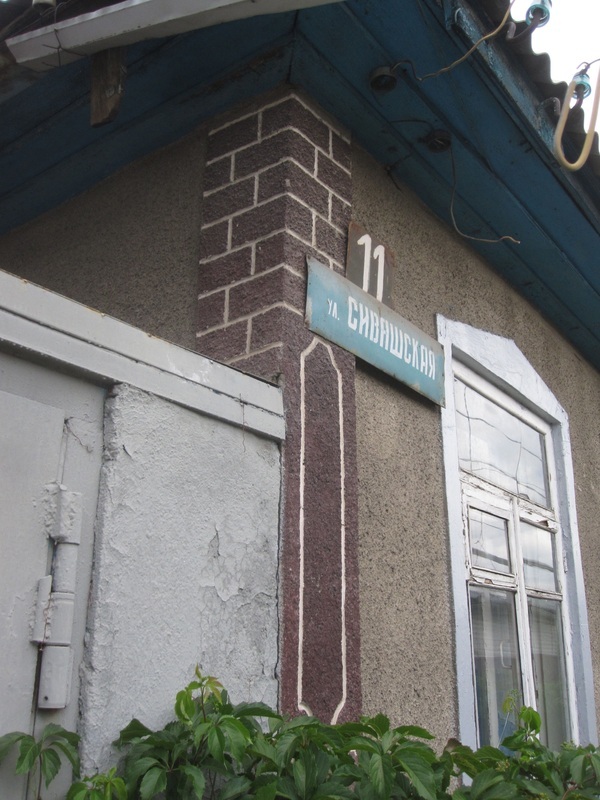 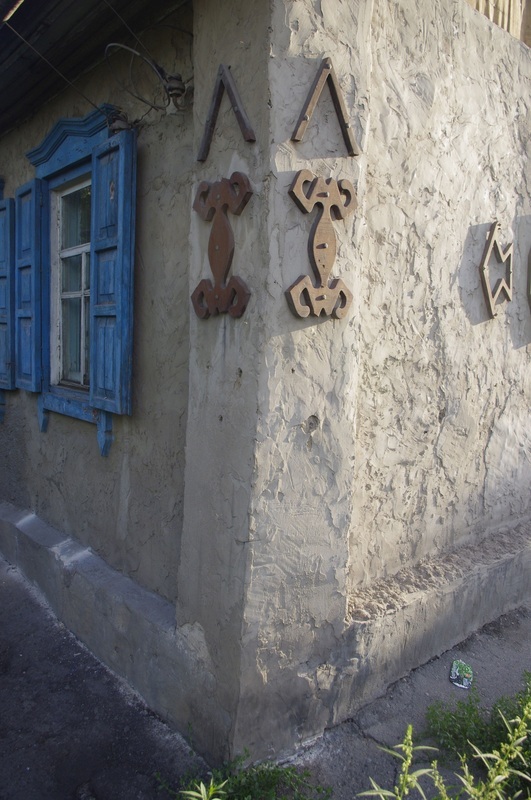 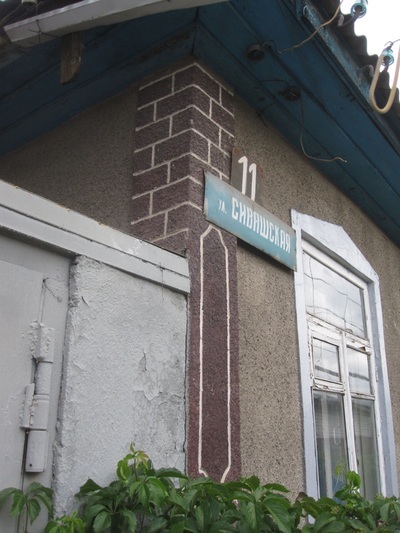 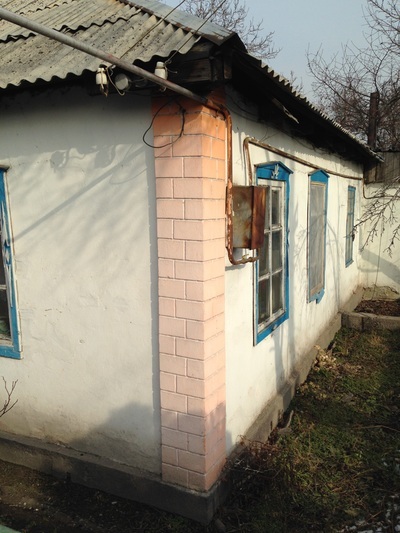 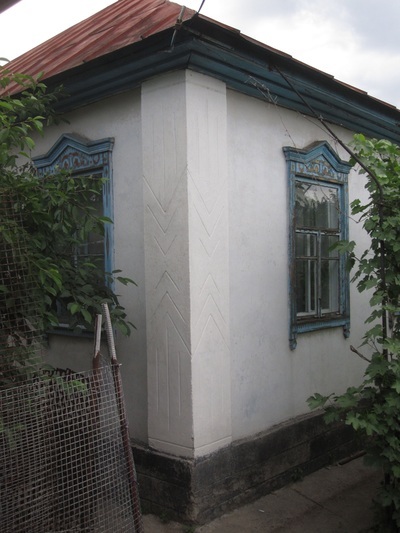 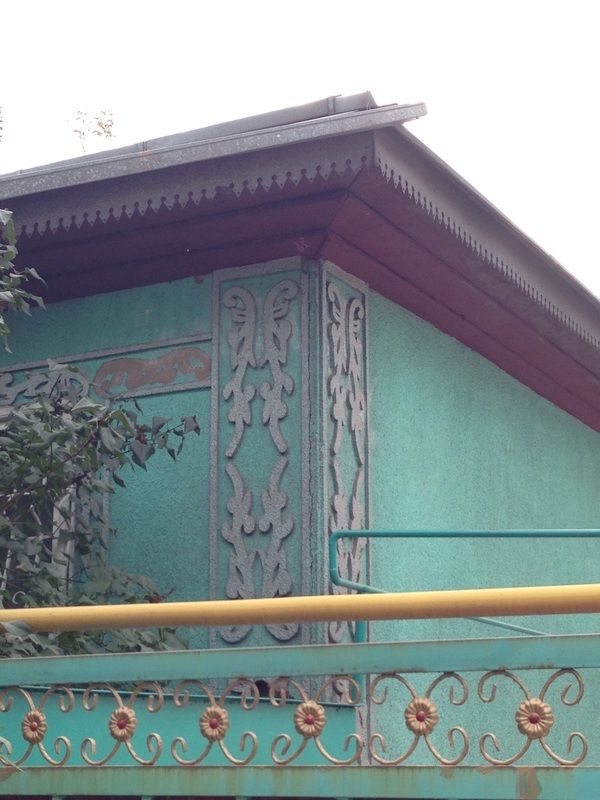 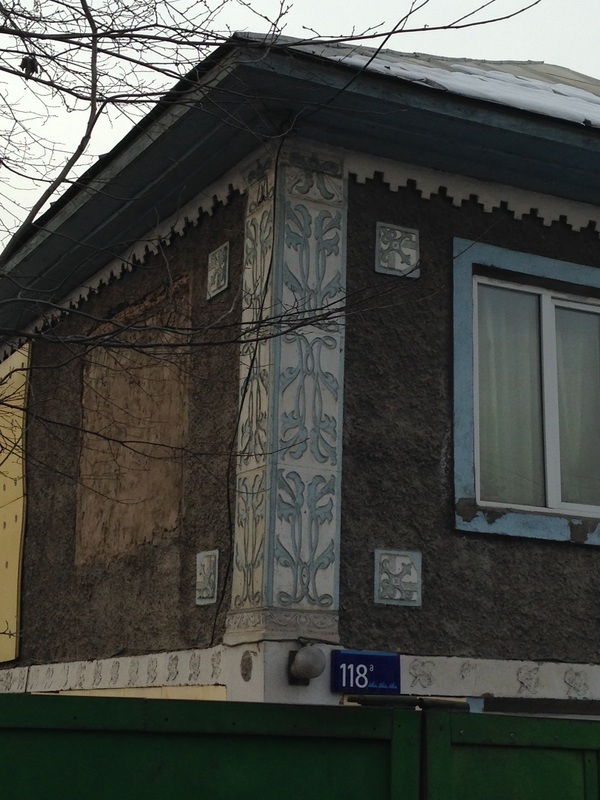 Especially popular on cottages in Almaty are corner pilasters. 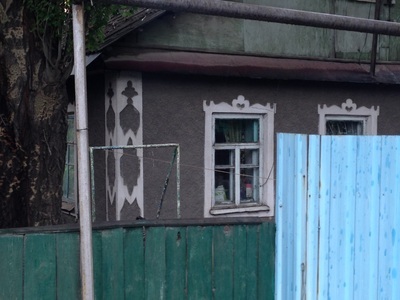 There's a similar word in Russian, pilyastr (пилястр), but you can also call it a lopatka [лопатка], which also happens to translate as "shoulder blade." 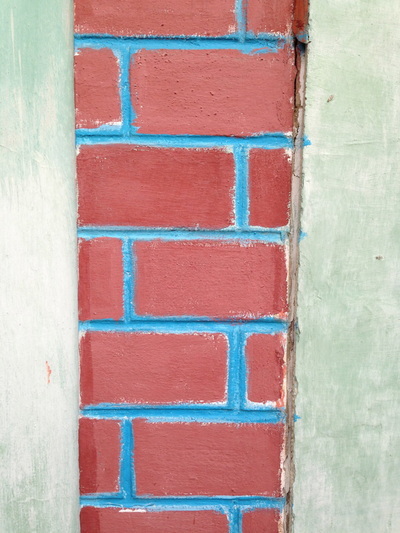 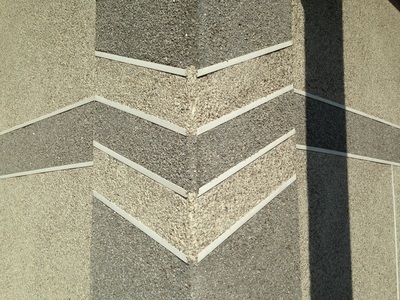 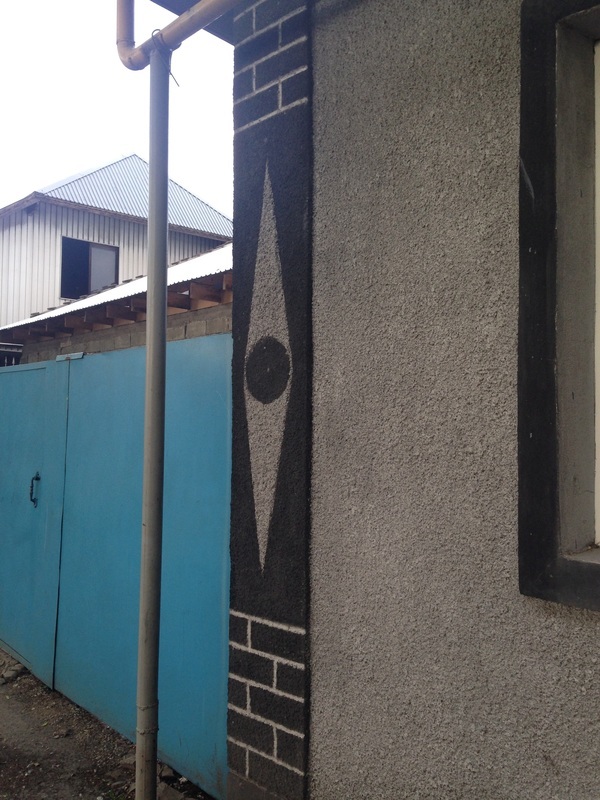 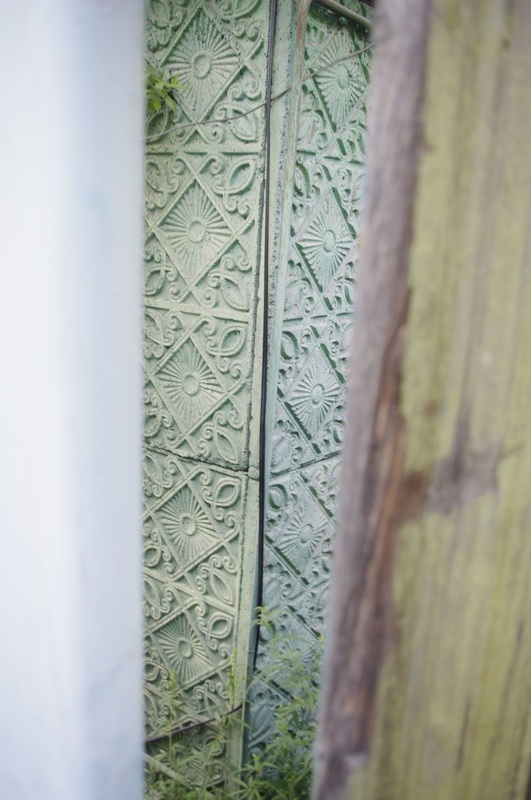 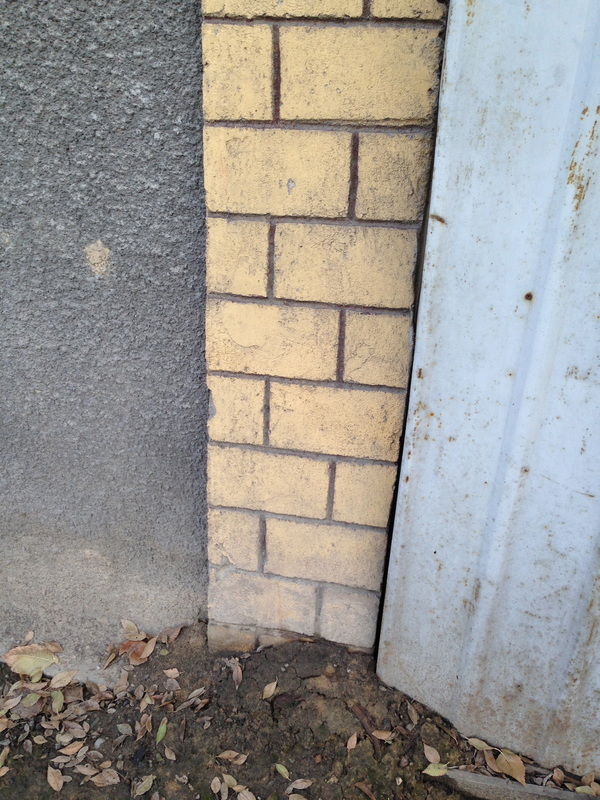 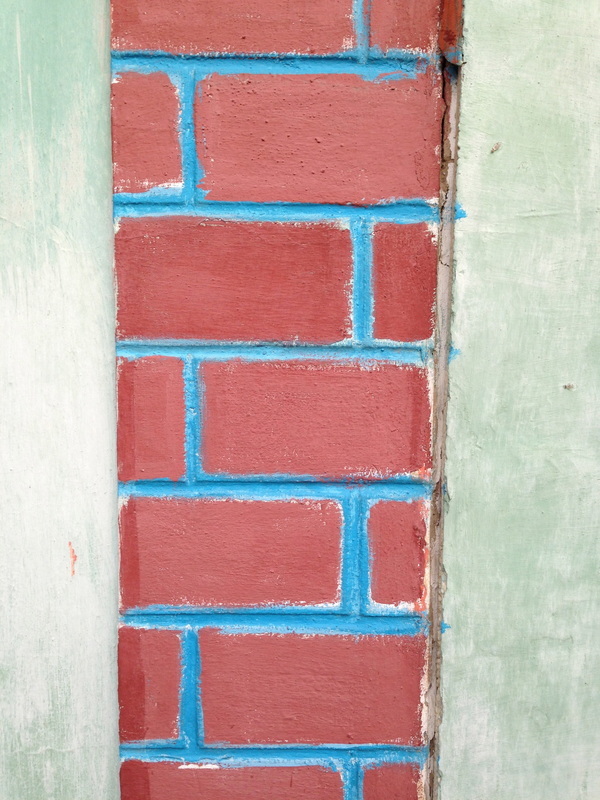 They often feature a faux-brick print made with plaster, and are also a good site for rhombus-watching. 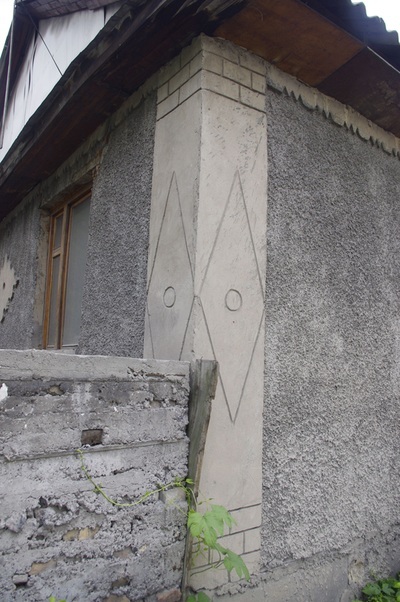 The corner pilaster is such a popular element of local design that it's even made it's way onto a mosque made in the vernacular style. But why did the lopatka become such a common element of local architecture? 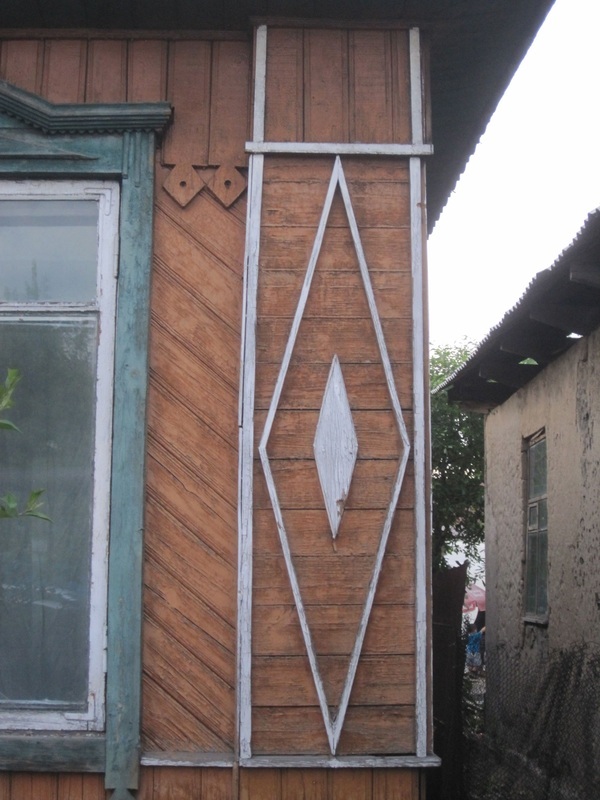 It turns out that Old Russian cabins, called izby [избы], used to be decorated on their corners by special planks, put there to cover up the joint where the logs came together. 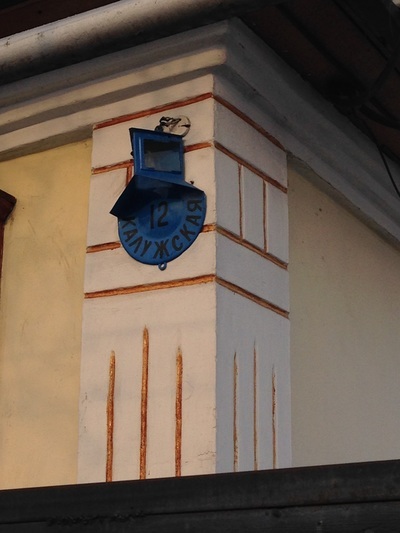 In some texts, I've seen this piece called tortsevaya doska [торцевая доска], or "end board." The plaster pilasters (a fun phrase, by the way) are just very specific skeuomorphs. 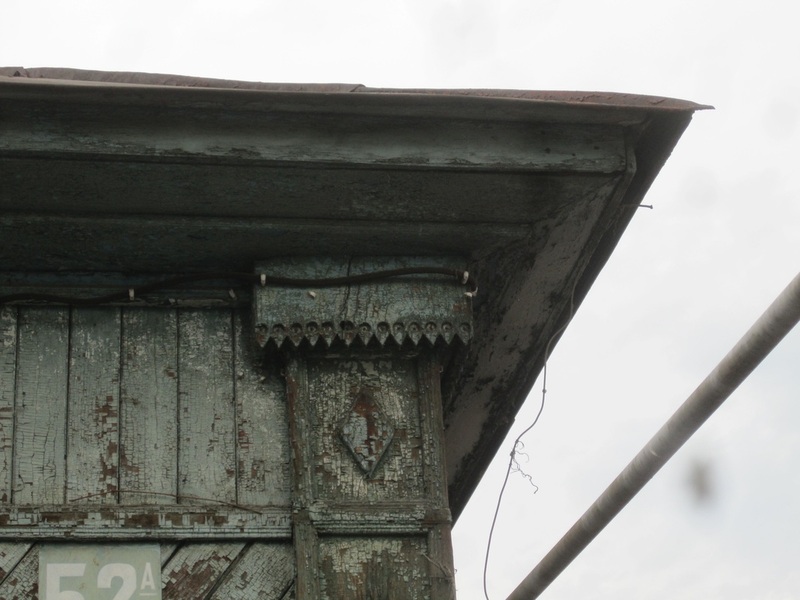 There are no longer any logs to cover up, but the lopatka's decorative function was deemed so worthy that it stuck around.